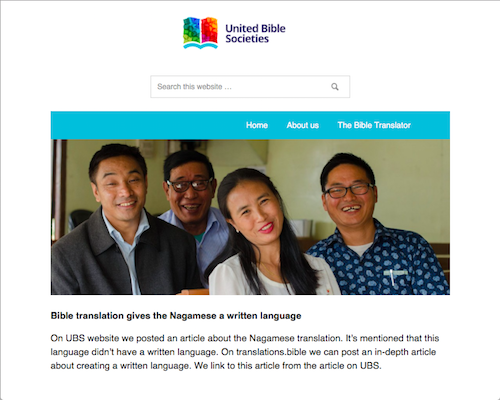 United Bible Societies (UBS) is currently involved with close to 600 translation projects covering nearly 500 languages. In this endeavor, UBS serves all Christian churches and cooperate with many different Christian organizations. Languages into which UBS translates the Scriptures vary from those spoken by a few thousand speakers to major national and international languages. Bible Societies support translation projects technically, administratively and financially. Also, read this endorsement for .bible from Michael Perreau, General Secretary of United Bible Societies.